I enjoyed this series about strong women who strive to follow God and also aim to make their own way in the world. I liked how each story was about a woman in the small town of Second Chance who knew each other so you saw characters from previous stories show up in the next story. I loved Hattie and how wise and strong she was. 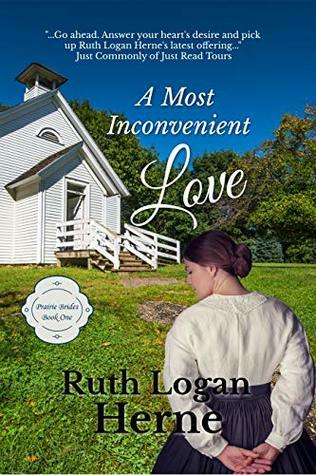 There was sweet romance and a lot of good Biblical wisdom as the characters struggle with forgiveness, letting go of the past, overcoming fear, being truthful and many more life lessons. There were some interesting predicaments. 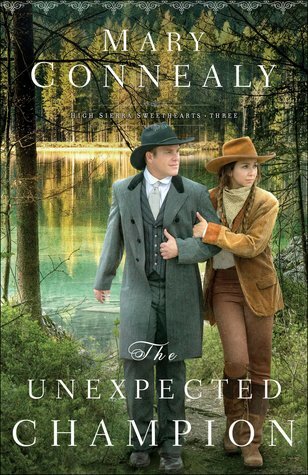 I'd recommend these stories if you like western romance. I received this book from Just Read Tours. I was not compensated for this review. All opinions are my own. I loved the characters of Seb and Rachel in this book! Rachel was so practical yet was drawn to Seb and had a hard time denying her feelings amid possible scandal. Seb was so honorable, even at the expense of himself. The story dealt with the importance of telling the truth, protecting your family, forgiveness and being cautious in love. There was a lot of Biblical wisdom in this book and a lot of sweet romance. I liked the conversation about how women's roles were changing and they were gaining more independence. I'd recommend this story if you like historical romance. This was an exciting and amusing story set in the Wild West! I liked the seeming opposite personalities of John and Penny and found them and their banter amusing as they tried to survive a kidnapping and bring the bad guys to justice. It was interesting to see how John, a Pinkerton agent, went about investigating and trying to figure out who was behind their kidnapping, from breaking into buildings to disguising themselves and learning information. I also liked how Penny thought deeply about the right and wrong of things and tried to discern whether John was doing the right thing or not by being underhanded and deceitful sometimes in trying to discover who the bad guys were and arrest them. They were both Christians but Penny seemed to struggle more with his vocation. There was plenty of excitement, from shootouts to fights to murders. There was some romance. It worked pretty well as a stand-alone but other characters from previous books were featured prominently. I would recommend this is you like Westerns or historical fiction. I received this book from Bethany House Publishers. I was not compensated for this review. All opinions are my own. This was another wonderful story by Carolyn Miller! I loved seeing Caroline Hatherleigh grow and change throughout the story as she starts to care more about other people than herself, especially as she sees the faith of the Kirby's and starts to really examine the Bible and her own beliefs. There's a good explanation of the gospel. I also enjoyed the talk about fossils; it was a unique aspect you don't see often in Christian fiction. 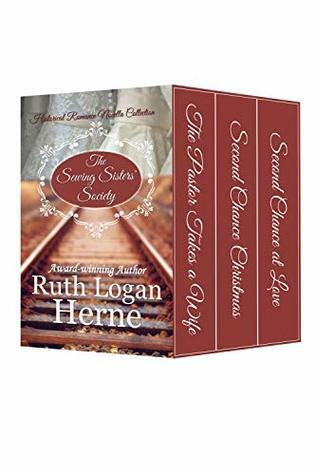 The romance is sweet as secrets keep Gideon from sharing his feelings and Caroline believes he is below her station, yet they are drawn to each other. I ended up really liking Caroline and Gideon was wonderful, if a bit slow to communicate his feelings. He cared so much for his sister and was willing to give up his own future to make sure she was protected. Both he and his sister had a strong faith even as they dealt with her poor health and their terrible circumstances. Gideon's friend was very amusing and I really enjoyed the banter between him and Gideon and Caroline. There was some suspense and action, also. I highly recommend this start of a new series and can't wait to read the rest! I received this book from Kregel Publications. I was not compensated for this review. All opinions are my own. 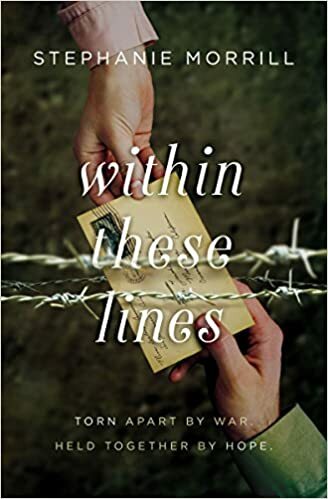 This novel was fascinating as we see what life would have been like for the Jews taken as captives to Babylon and for a young girl trying to survive in a strange land. I can't imagine how frustrating it would have been to not have any say in your future and to be at the whim of capricious kings. I liked imagining Daniel's wife, if he had one, and what she might have been like. I also liked the different times we see, from Belili as a young captive to her time years later in Babylon and Media. It made the story even more interesting to jump around and see parts of her past. Belili was a wonderful character, very strong and stubborn, sometimes speaking before she thinks. She was very relatable. I couldn't imagine going through all that she did and I could understand the choices she made and how hard it would have been to choose Yahweh instead of the easier way. I liked Daniel a lot, too, and Mesu Andrews succeeded in making him more real I tend to look at Bible heroes as almost perfect. She made him a bit of a workaholic and I was also disappointed in something he failed to do; she also showed his fear when he knew he was going to the lions. The scenes with Shadrach, Meshach and Abednego in the fiery furnace and Daniel in the lion's den were amazing! The faith element was wonderful as we really see Belili's faith get weaker and stronger depending on her circumstances until her trust in God grows and her faith isn't influenced by circumstances anymore. There's also some suspense and some romance. I would highly recommend this book if you like Biblical fiction. I received this book from Waterbrook Multnomah. I was not compensated for this review. All opinions are my own. The year is 2038 and Cheyenne Burne is a brilliant young programmer working for Acatour, the world's top technology firm. Her father converts to Christianity, and he suddenly disappears without a trace. When a stranger hands Cheyenne a coded message that sends her on a collision course with a clandestine group of believers, she must put her life in the hands of those following a man known only as the Reckoner. He claims he wants to bring back true faith in Christ to America and also reveal the forces behind the disappearances of the many renowned people who publicly declared their Christian faith. Operating in the shadows and living off the grid, this mysterious prophet assembles a ragtag team--including a former bookseller whose store was shut down for selling prohibited books--to help him take the battle for transparency to the top. With a ruthless FBI agent closing in, can Cheyenne and the others expose the truth and lead a return to God in America before it's too late? This was an interesting story about what the future of America could look like if the country keeps heading in the direction it's going, where the Christian faith is tolerated less and less and people are being monitored even more than they are now. It was suspenseful as the story alternated between three viewpoints, one who was sent to find the man behind it all using any means necessary. While I found this book interesting I thought it was going to be a little more exciting than it was. It did have some action. The story felt like it was building up to a grand event but was a bit of a letdown for me. I found the characters interesting and I really related to Will, the bookstore owner because He was a man of faith but kept trying to do everything in his own power instead of talking to God and asking for His help. He wanted to be in control of his own life and I can relate to that. It's hard to let go sometimes. The gospel was clear in the story and it was interesting that Cheyenne wasn't a Christian and didn't really understand faith or why her father would choose this life. The story left some things open-ended so I wondered if there will be a sequel. If you like futuristic stories you might like this one. This was a wonderful, fascinating story I had a hard time putting down! I didn't know very much about what Japanese-Americans went through during World War II, especially what living in internment camps would have been like. It really opened my eyes to the hardships they endured and how terribly they were treated by the government and sometimes also by other people. It made me angry to see the injustice but fascinated with how Evalina and Taichi dealt with it. I loved these characters! Evalina was a wonderful person, full of passion and principles. I loved how she stood up for what was right, even though sometimes she spoke before she thought. And stubborn! But definitely in a good way. Taichi was such a sweet, respectful guy. I liked his honesty, bravery and how much he cared about people. They really had a lot to overcome and the story kept you guessing whether or not they would make it. There was a little bit about faith such as church is mentioned and Evalina prays at different times for people. 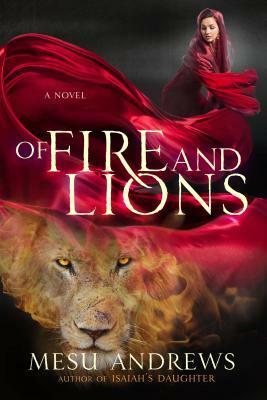 The writing is great and I highly recommend this wonderful story! I received this book from JustRead Tours. This is my honest opinion. I was not compensated for this review.